We service and repair a wide range of garden machinery and contractors small plant. This includes the sharpening of cylinder mowers and sonic carburettor cleaning. Just pop in to our service centre in Ruthin or give us a call. We look forward to hearing from you! We offer in house repair of garden machinery and equipment. Our staff are factory trained and regularly attend manufacturers service courses. 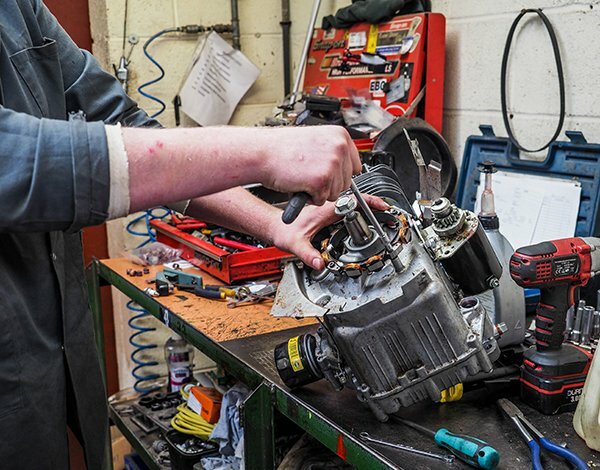 From large machinery to small home use lawnmowers and strimmers our mechanics are fully qualified to meet your needs.